Tagbilaran City – With the theme "Sustaining Vibrant Agricultural Productivity through Harmonized and Proactive Extension Service", the Agricultural Training Institute – VII (ATI-7) successfully celebrated its 32nd Anniversary with a free training on Mushroom Production and Processing held at Island City Mall (ICM) Activity Center on January 30, 2019, this city. The event was in partnership with ICM and Alay Marcela Foundation – the Corporate Social Responsibility arm of the Alturas Group of Companies. Since the mushroom industry is one of the most profitable business enterprise in the country today and because of its extraordinary health benefits, it is currently a high demand in the market, thus the training. A total of 142 stakeholders, agriculture/mushroom enthusiast in the region, and beneficiaries of AMF participated in the event. Resource person was Ms. Rona Denque, proprietor of Green Thumb Farm in Corella, Bohol. “As a mushroom grower practitioner, this seminar help boost our capacity, it enables us to learn its challenges and remedies that we may encounter in adapting this venture,” said Ms. Kathlyn Quion, participant to the training on her impression. Meanwhile, actual hands-on for the preparation of mushroom’s mother culture, sub-culture, bagging and planting on the fruiting bags were taught to the participants. An actual cooking demo and free tasting were also done while showcasing Green Thumb Farm processed mushroom products to give participants idea on value-adding. 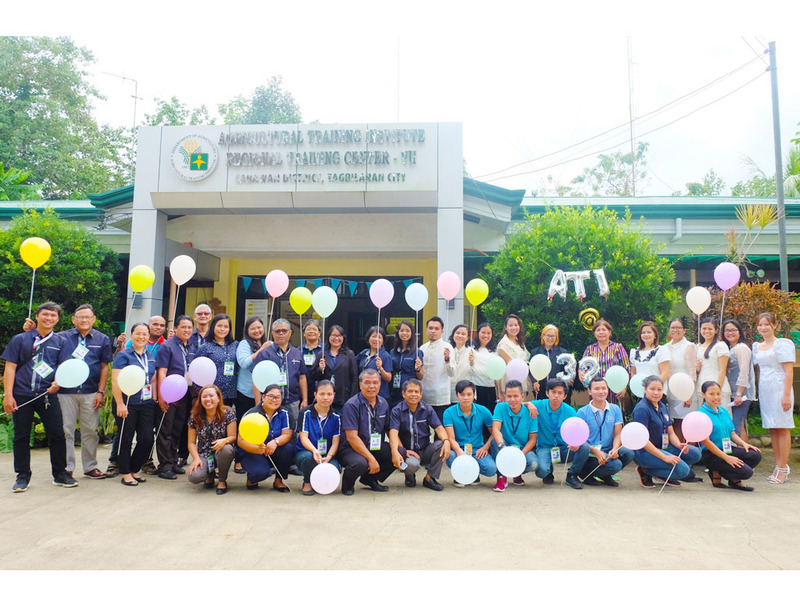 The free training was one of the highlights of ATI regional anniversary celebration. Other activities also include Holy Mass with Fr. Manuel Pantollana; Oath Taking Ceremonies for Newly Appointed ATI-7 employees; Acknowledging ATI loyalty awardees; Contract Signing with 3N Construction for the construction of ATI -7 new dormitory and Honoring of Retiree which was held at the ATI Regional Training Center in Cabawan District this city.